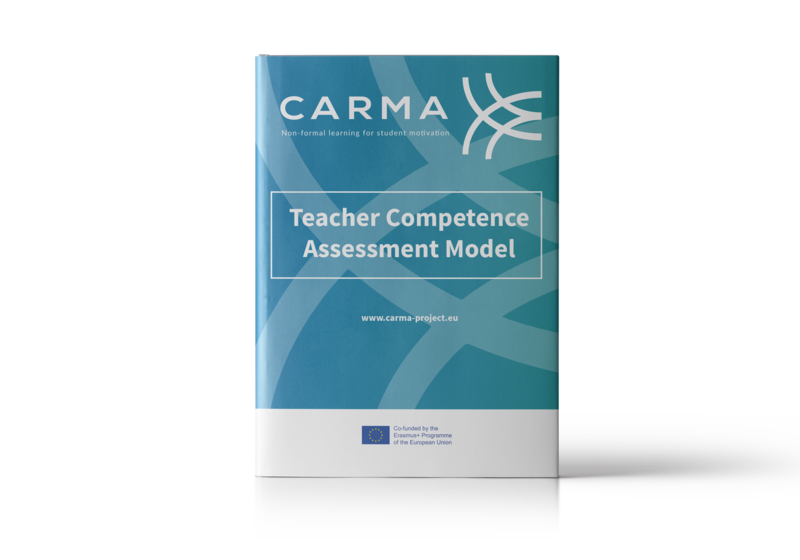 The CARMA assessment model for teachers is meant to make teachers aware of their skills and what they have learnt thanks to the use of non-formal learning techniques in their classroom. The tool is foreseen to be used at individual level but also within a peer-to-peer method with other teachers to support them in assessing their skills development when they implement NFL techniques in the classroom. The model is organised with 4 main competences (with some abilities related to each competence): I. Facilitation and moderation skills II. Competences in collaborative learning III. Know-how in collaborative assessment IV. Use of non-formal education. The Model can help teachers and schools to establish a framework for measuring teacher’s skills and competences in understanding, identifying and implementing successful collaborative learning environments, whilst reflecting on the principles of NFL together with actual classroom practice.